After a few months of development, I finally got Blasteroids running flawlessly through browsers with HTML5. This is my first game developed in Game Maker Studio and it turned out to be so much more than a lesson in Game Maker. 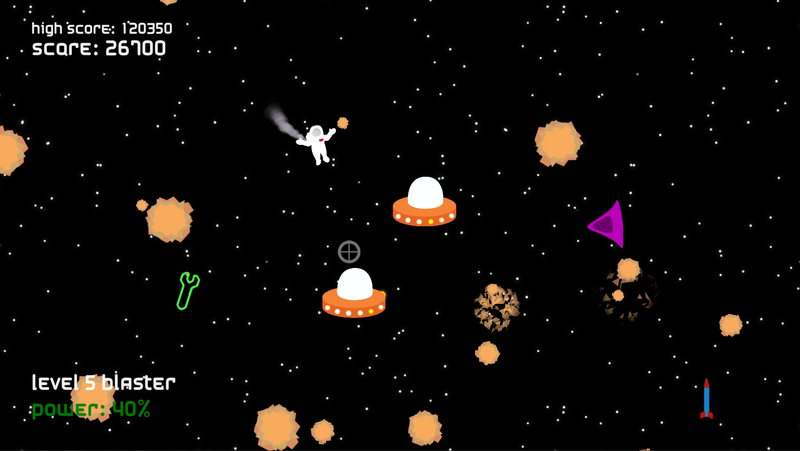 The game is a modern take on Asteroids with weapon upgrades, missiles, power-ups, score multipliers, and tons more. Players will be pleasantly surprised by the smooth 60 fps game play and simple retro throwback graphics. For now the game isn’t compatible with smart phones or tablets. So dust off the old desktop or laptop and shoot some UFOs.